Debris mitigation guidelines — preventing the addition of new debris on orbit — have been embraced by international space users, but analysis has shown that mitigation alone will not ensure the sustainability of the space environment; debris remediation — preventing collisions between massive derelict objects — will also be needed. 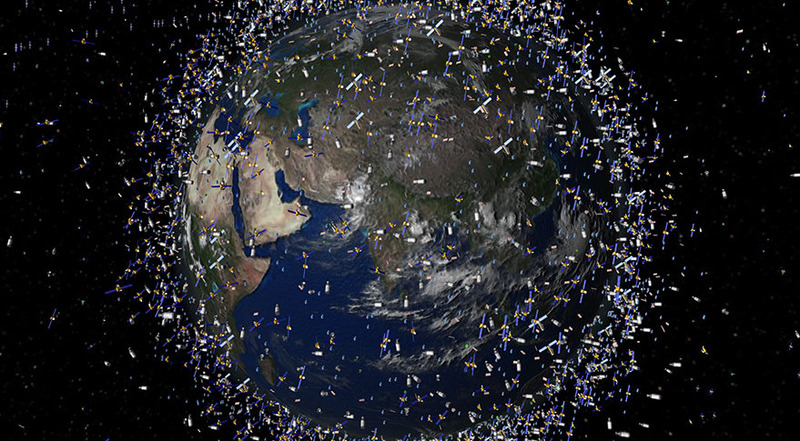 Trying to reduce the likelihood of the orbital debris population cascading out of control should not be left to one potential countermeasure, such as active debris removal, which calls for the grappling and removal of massive derelict objects in Earth orbit over time to reduce the available mass on orbit that might collide. These hypervelocity collisions are likely to create thousands of lethal debris fragments (up to 50 for every kilogram of mass involved). There are four critical facts that affect the urgency and efficacy for orbital debris remediation. While the current debris hazard has not adversely affected space operations to date, the evolution of catastrophic collisional breakups is uncertain. Mathematically, we have exceeded the critical spatial density of large objects in low Earth orbit that will lead to the Kessler Syndrome — a self-sustaining chain reaction of collisions — but the rate at which this will manifest in collisional breakups is uncertain due to the random nature of the process. The average time between collisions is currently predicted to be about four years; however, this has a variance of about four years so the next collision could occur before this goes to print or sometime in the next decade. It is also uncertain how severe each collision will be: Will it be a glancing blow between two moderately sized objects, a head-on collision between two massive objects or some intermediate scenario? For example, there is a 1-in-4,000 chance annually that two 9,000-kilogram abandoned SL-16 rocket bodies will collide with each other, which could double the cataloged debris population and add over half a million lethal nontrackable fragments. Active debris removal (ADR) operations will take decades to accrue benefits. NASA studies upon which most of the ADR effectiveness is based indicate it would take 30-50 removals to statistically prevent a single collision. Therefore, by removing five to 10 massive objects per year it would take three to 10 years before a collision is prevented “statistically.” The cost of each object removal has not been precisely determined but values range from an optimistic $10 million to a pessimistic $50 million per object. As a result, it may cost $300 million to $2.5 billion for each collision “prevented.” The interesting issue remains that the removing of massive derelicts from orbit does not eliminate risk; it merely transforms orbital risk to operational satellites into a re-entry risk to people and structures on the ground. Urgency is also accentuated by the fact that an operational ADR system is likely five to 15 years from being available. All ADR solutions are created to deplete the massive derelict population statistically, removing objects years or decades before they might collide with each other or another space object. However, what could be done if we sensed the imminent collision between two massive derelict objects? Currently, we would cross our fingers and hope for the best. Current international law combined with the fear of someone using ADR as a form of anti-satellite weapon may be discouraging development of techniques to remove debris. At a minimum, this uncertainty is slowing attempts to formulate the necessary policy to empower remediation operations. As a result of these observations, I suggest that three immediate actions be taken by spacefaring countries. Strengthen debris mitigation efforts either through stricter enforcement of existing guidelines (for example, grant fewer waivers and fine noncompliant operators) or establishment of more stringent guidelines (perhaps change the 25-year rule to a 15-year rule). These mitigation guidelines may be best satisfied by installing deorbit systems, such as inflatables, on satellites before they are launched. This would provide a means of testing part of an ADR system without having to grapple with a derelict on orbit. This may even be more reliable than planning for an end-of-life propulsive maneuver, since one might try to conserve fuel to extend the lifetime of a satellite for economic reasons. Obtain agreement among the international aerospace community to accelerate developing, testing and deploying prototype ADR solutions. A logical first step would be to plan for and execute some technology demonstrations of ADR to learn about how we might improve the efficiencies and costs discussed above. There are several component on-orbit tests slated over the next few years but no full-scale experiments publicly acknowledged as of yet. Examine other, more tactical (more responsive) approaches to derelict collision prevention that can be employed when a collision event is imminent. One such potential solution, already being discussed, is just-in-time collision avoidance, in which a puff of air is delivered via a ballistic launch to nudge one of the two derelicts out of harm’s way. This approach would eliminate the need to grapple/detumble massive derelicts and obviate any re-entry risk but would leave the objects in orbit. Just-in-time collision avoidance would leverage existing inexpensive, reliable sounding rocket solutions but would require upgrades to the ability to predict the location of derelict objects days in advance and development of a new “nudger” system. Most importantly, it would provide a responsive, nonobtrusive and nondestructive intervening capability to prevent an imminent collision between two massive derelict objects. Just-in-time collision avoidance has its own technical challenges to overcome but it is at least an attempt to broaden the debris remediation options available to the aerospace community. We need to challenge the community to come up with more time- and cost-efficient concepts for debris remediation. We need innovation and foresight now more than ever. If the debris environment evolves more quickly than the average predictions suggest, we do not want to be caught flat-footed and unable to respond in a timely fashion. While it is daunting to both create an international operational agreement for debris remediation and remove hundreds of massive derelict objects, it will be even more challenging, technically and fiscally, if we wait until several major collisional breakups occur before starting remediation options in earnest. Darren McKnight is technical director for Integrity Applications Inc., an engineering and software services company in Chantilly, Virginia.